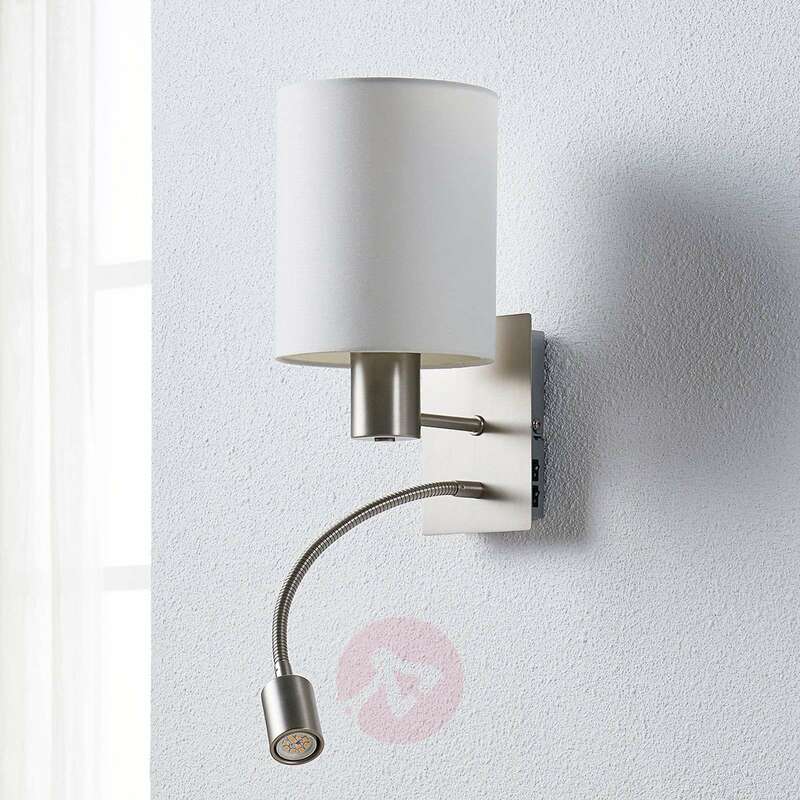 The appearance of the wall lamp Shajan is dominated by the cylindrical lampshade made from white fabric. 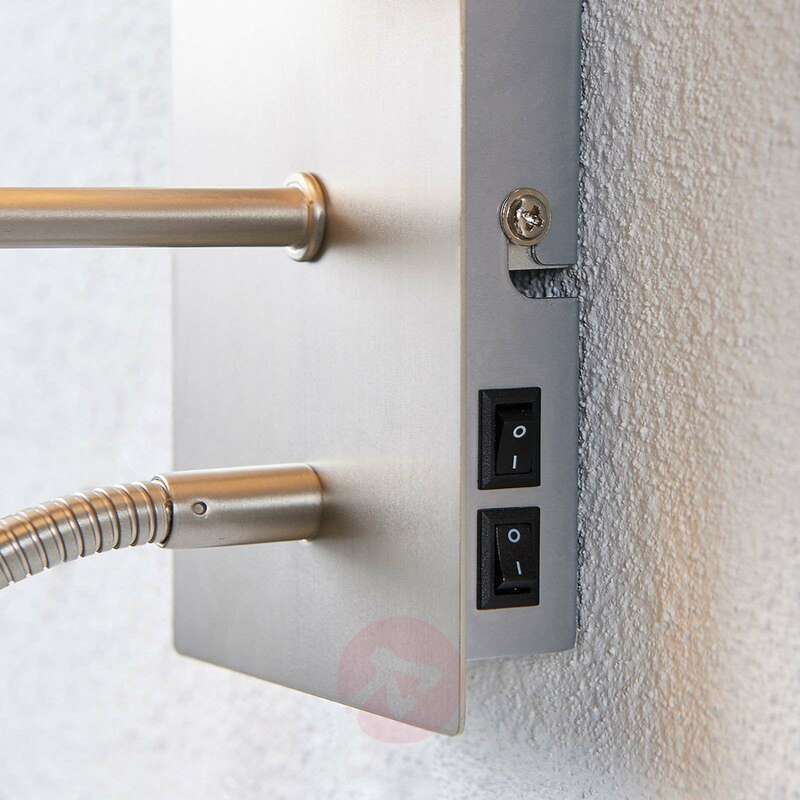 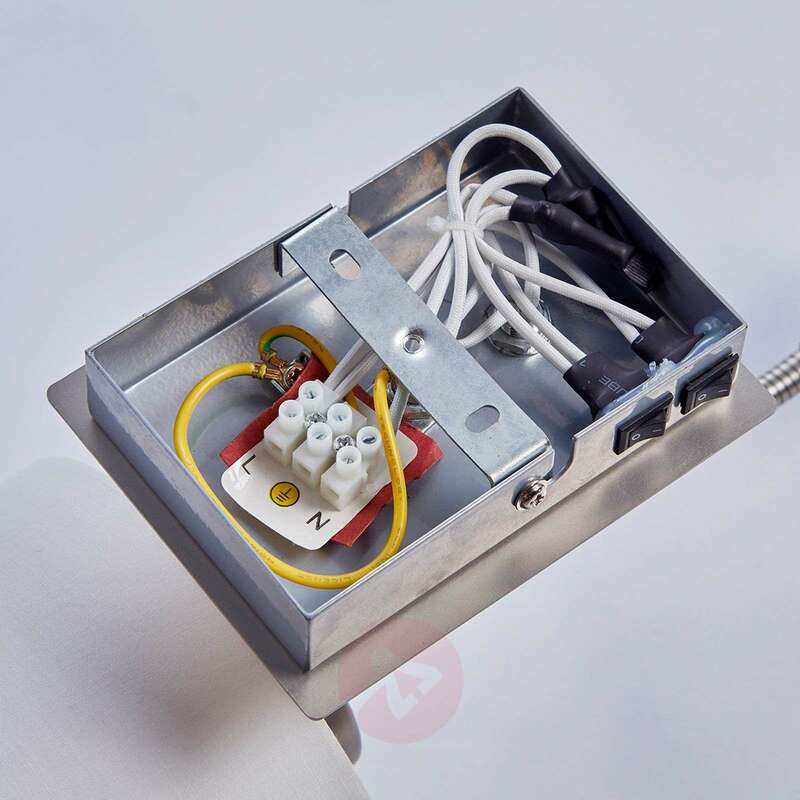 Behind it, there is an E27 socket which is equipped with a bulb of your choice. 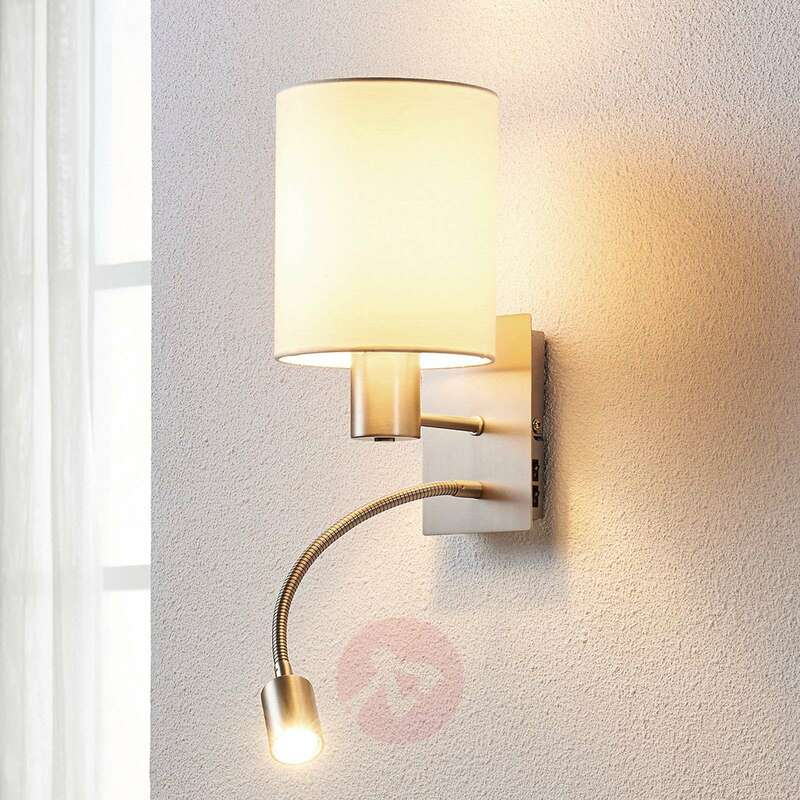 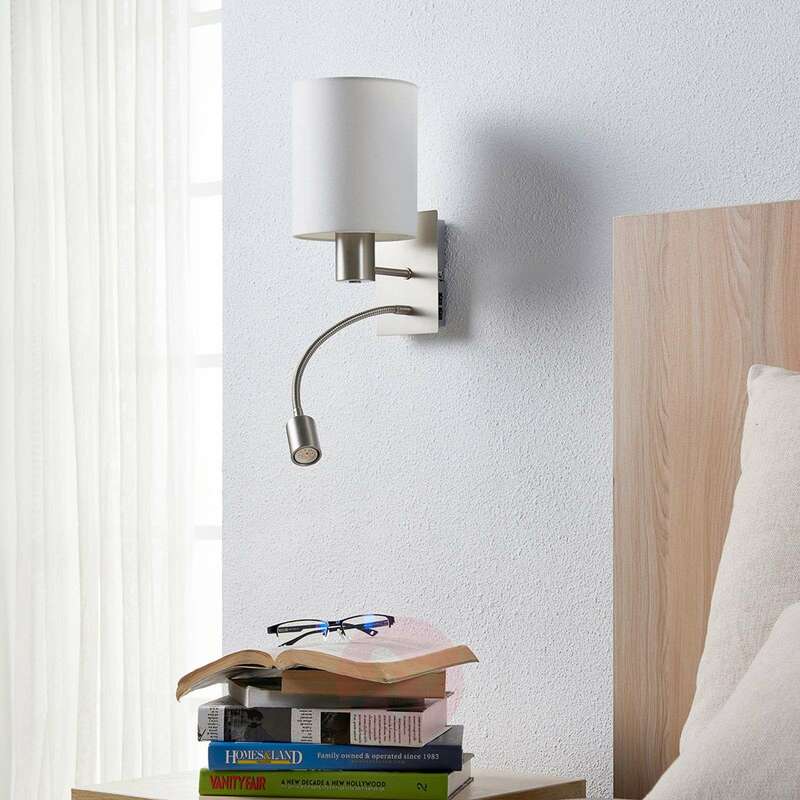 In addition to this light source, which provides an attractive, particularly atmospheric relaxing light, there is a flexible arm on the frame which leads to the integrated LED reading light. 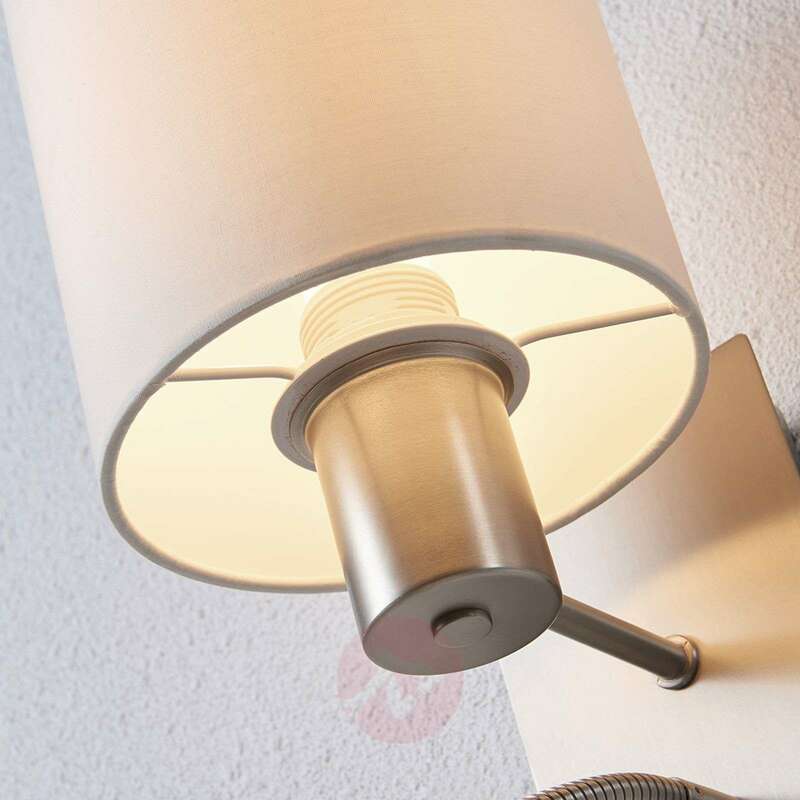 Thanks to the flexible technology, the small spotlight can be adjusted seamlessly, so that the light can hit the precise spot where it is required. 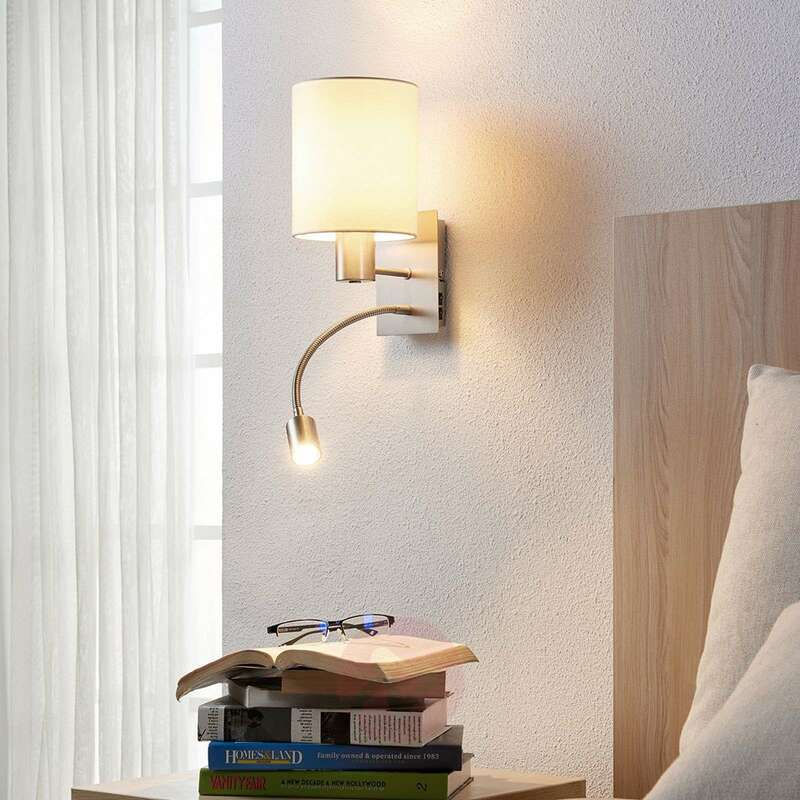 Two switches are located directly on the frame for greater convenience, and Shajan is perfectly suited for use as lighting for a sofa or bed with this feature. Nice lamp, easy to fit - everything as in product description.